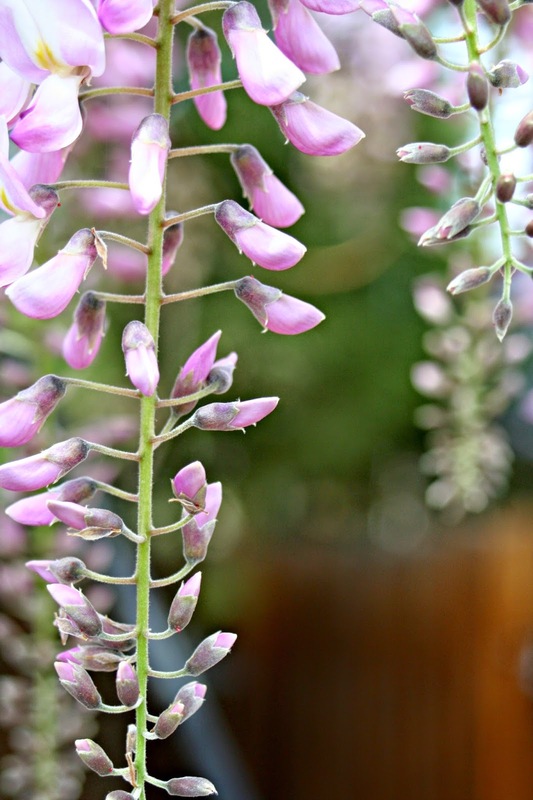 Thank you Patti and Paula for featuring the wisteria this week!! I am so flattered! Make sure to visit Patti and Paula's over at Ivy and Elephants. These two classy ladies have the coolest collections, and they always share a bit of history about their finds. I learn something every time I visit their blog!! Spring is such a special season. You gotta savor the early blooms. They are so delicate and strong at the same time. 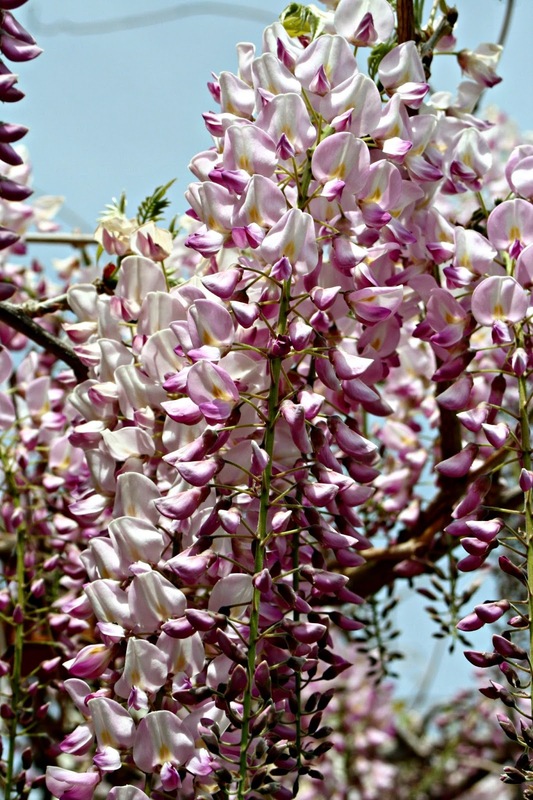 Our wisteria is in full bloom right now and I am loving every minute of it. I have been photographing it over and over. Like a proud new mom! 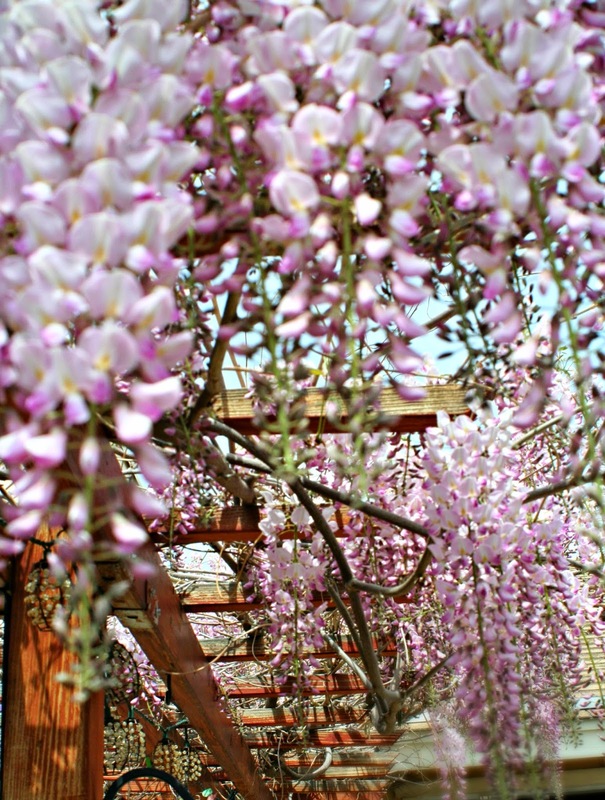 In the picture below I think it is apparent that the wisteria loves the arbor my husband built as much as I do. The blossoms will only last a few weeks, a windy day or some high temps and it's bye bye to the blooms. In the summer I usually have to trim the wisteria about 4 or 5 times. It grows like a weed! We hardly even water it anymore. I know that sounds odd but it is 22yrs old this year!! So I guess we are doing something right. Thank you for visiting today. I love showing off the wisteria! Sign up to follow me by email or on Pinterest or Facebook. 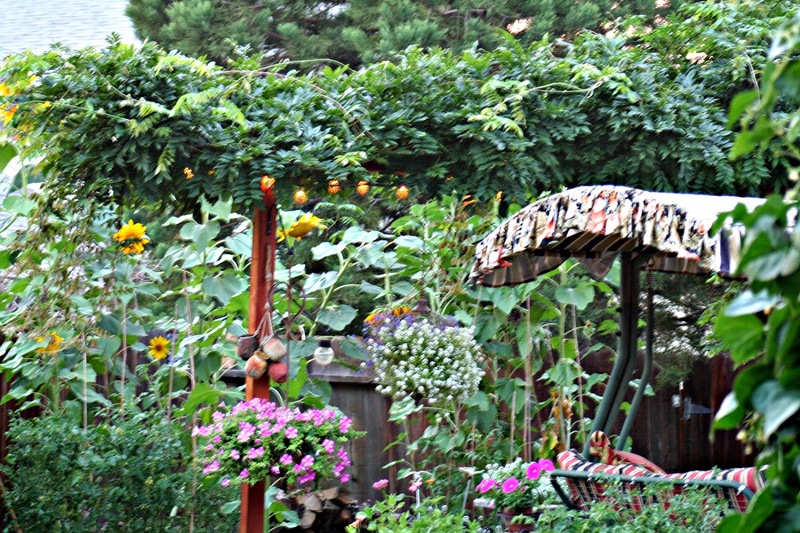 It's only April, I have many more garden delights to share with you! Thank you Melanie, It only blooms for a short time but it is so beautiful! Thank you for visiting! 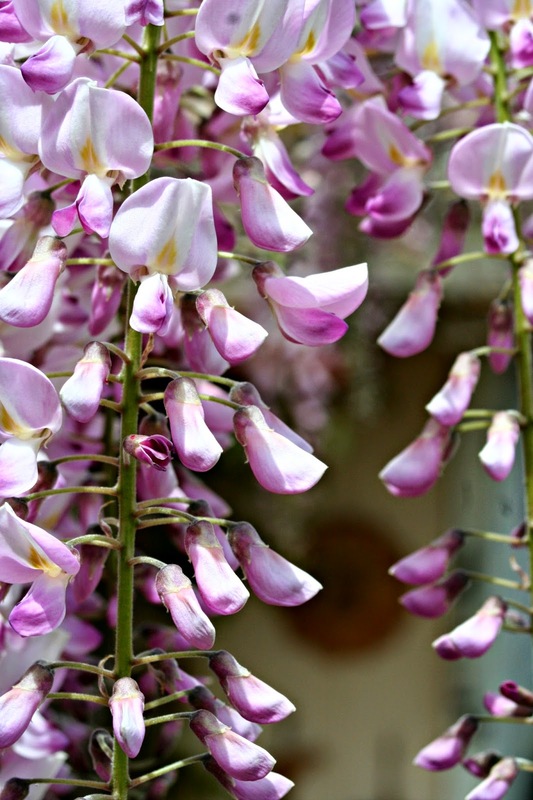 Your wisteria is just dreamy! I can imagine setting a pretty table under the wisteria and enjoying a cup of tea and pretty cookies with my friends. Just beautiful. Thank you Suzanne!! That is a good idea....I wish I had set that up for my post!! lol Thank you for visiting!! 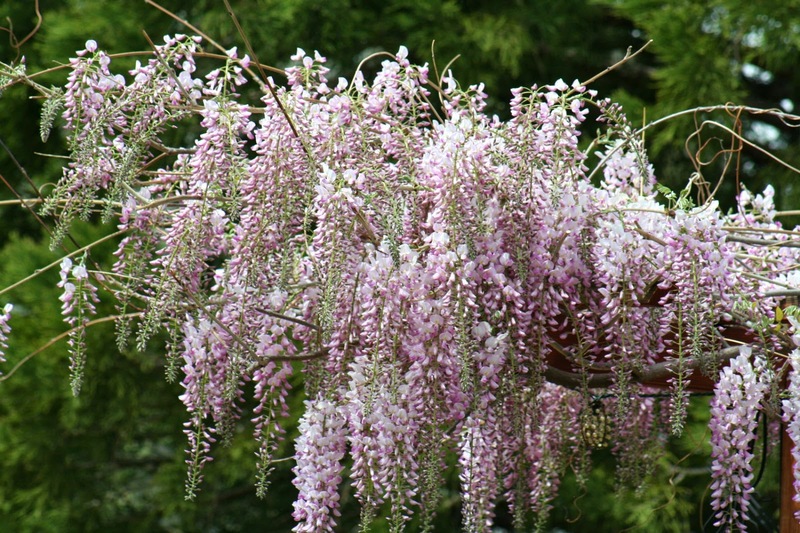 I love Wisteria! Your pictures are lovely! 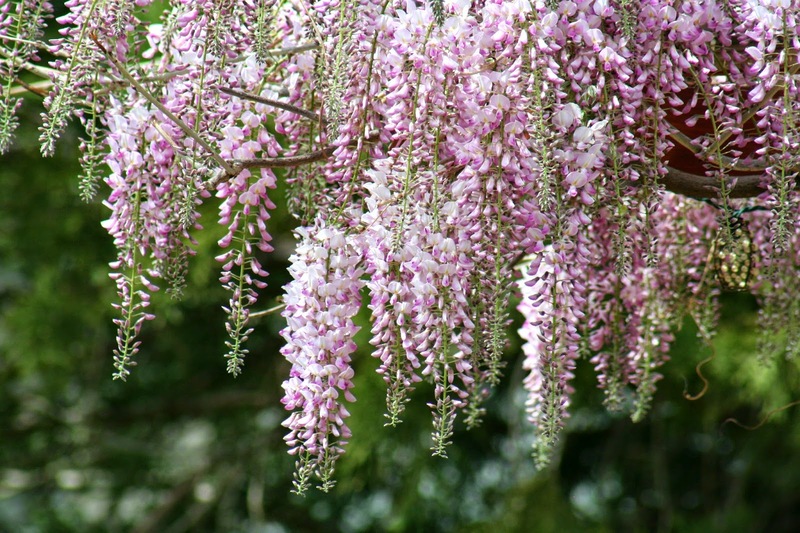 Your wisteria is gorgeous! Thanks so much for sharing your fabulous blooms. You are featured this week at Ivy and Elephants. Feel free to drop by and grab a featured button! 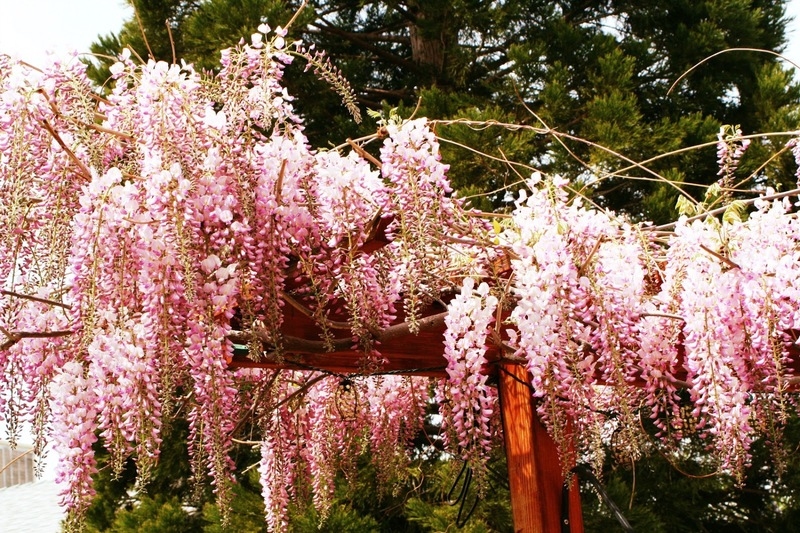 Wow, I love your wisteria! I always want to buy some but I admit I am terrified about how much pruning it needs and how fast if not maintained it can get crazy....seeing your photo's I may just change my mind. Your wisteria is beautiful and your photos are amazing! !